Perahu Lambo built by myself and Bugis boat builders of Sulawesi Indonesia in 1984. Massively constructed from best native hard wood. LOA 72 ft and 40 tons. 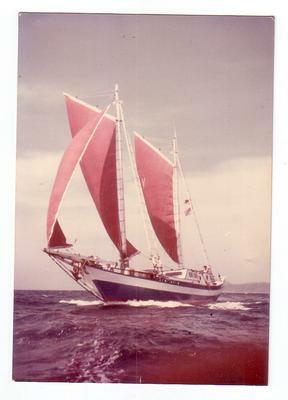 Lived aboard full time cruising throughout Indonesia, Singapore, Malaysia and Thailand a distance of 25,000 nautical miles over 21 years. Did charter work to subsidise our sea gypsy lifestyle. Now re-registered under Malaysian flag and licensed to carry 12 passengers and 3 crew for charter cruises around the 101 islands of the Langkawi Archipelago, West Malaysia. After 30 years, now semi-retiring so HALLELUJAH and our yacht charter business is for sale. Excellent cruising condition and up-and- running turnkey profitable operation. Full training and ongoing bookings included.